IHG Hotels have been ranked highly in a key global sustainability index. 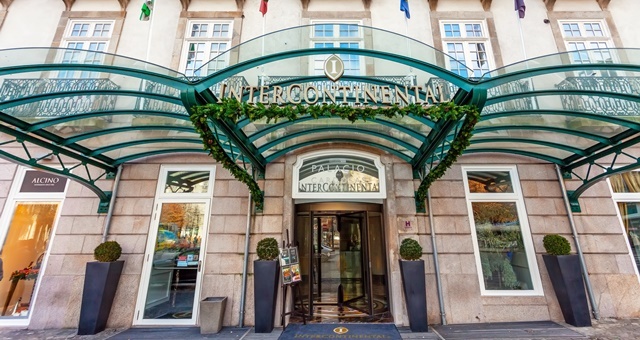 InterContinental Hotels Group has been named for a second consecutive year as the industry leader in sustainability by the S&P Dow Jones Sustainability Index. The accolade in RobecoSAM’s Hotels, Resorts & Cruise Lines category came after IHG received the highest score in the S&P Corporate Sustainability Assessment. Widely regarded as a true metric for corporate economic, environmental and social performance, the prestigious ranking allows IHG to be listed on the 2018 S&P Dow Jones Sustainability World Index and its European equivalent. In the report, IHG scored highly in many responsible business culture assessments including environmental criteria, risk and crisis management and human rights – all key components in the company’s 2018-2020 Responsible Business targets. Stakeholder engagement was also positively scored, with high marks given in areas such as Environmental Sustainability, Community Impact and People and Responsible Procurement. IHG Vice President Global Corporate Affairs, Yasmin Diamond, said IHG’s mission was to provide true hospitality for all of its guests and visitors.